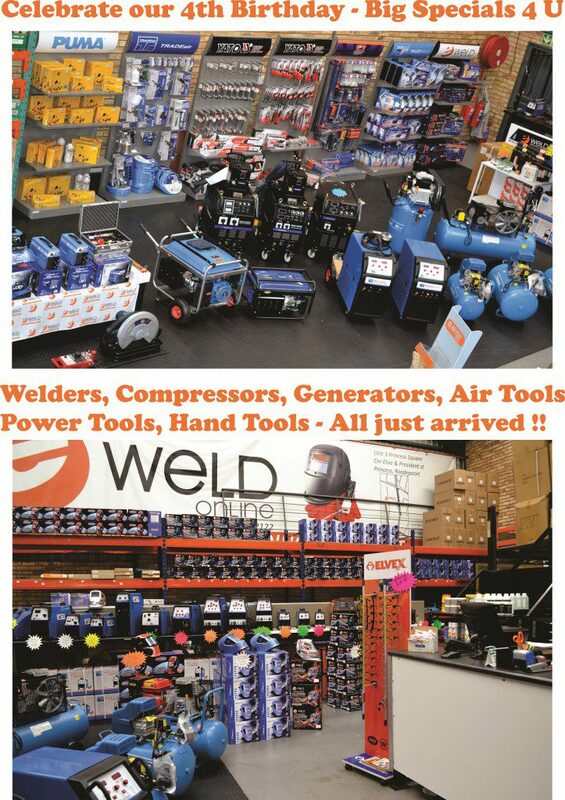 E-Weld Online (Pty) Ltd, South Africa’s fastest growing wholesaler of welding machines and products to the local market as well as our neighbouring countries. Our welding machines and equipment is made by welders, for welders. E-Weld (Pty) Ltd Welding Machines is located in South Africa with sales distribution throughout Southern Africa extending into neighbouring African countries. Collectively, and now with exciting new ventures we have gone from strength to strength gaining huge market share with quality welding machines products. It has taken time to prove to the South African Public that we are not your average “jump on the plane to china” and bring in the cheapest items that slightly resemble welding machines and products. We have adopted a passion for the supply of quality welding machines and products that work, and we sell products that we would actually buy and use ourselves. For more about us visit our about us page by clicking here. Welding machines is our top seller, the majority of welding machines suppliers we have dealt with over the years have been successful at selling welding consumables and a machines sale is an added bonus. In this area the unexplained has happened for us. We sell welding machines and the added bonus here is that we get consumable business with it. Contact us today for Prices that will suit you and service that will make you smile.